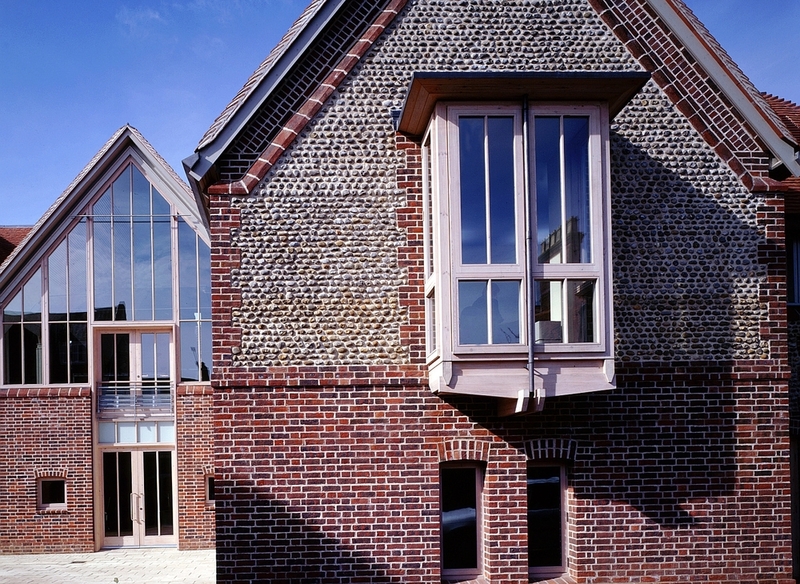 Pilgrims have been visiting Walsingham in Norfolk since the C11. The new refectory and café are placed within the centre of the village, between the Priory on one side and C18 village houses on the other. It provides a restaurant for 160 pilgrims, a café for 50, and a fully equipped catering facility. Visitors are directed to the Refectory through an open ‘tower’ identifying the main entrance and thence under a curved timber cloister, forming a new court against an old listed wall. A series of pitched and curved roofs supported on polished concrete columns achieve a dramatic interior, filled with north light from a series of glazed timber screens onto the courtyard. The east elevation deflects views out by stepping back the end of each curved roof, preserving the privacy of the adjacent Priory. The café is at a lower level opening onto terraces below. The flint masonry and oiled joinery take their lead from the village buildings. 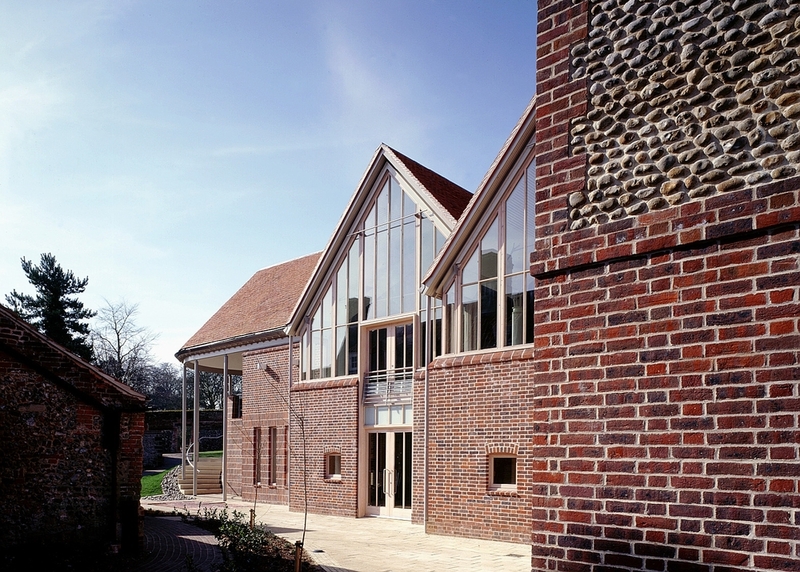 An old barn, next to the Refectory was restored to form a new meeting room and chapel. 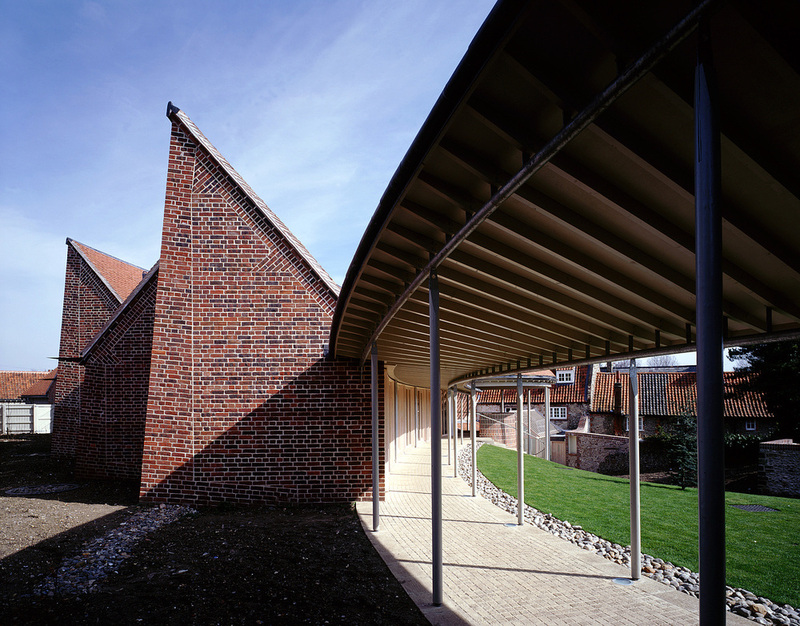 A new Education Room completes the courtyard on the north side, with the restoration of C17 St Anne’s house as residential accommodation, as the final part of the project. 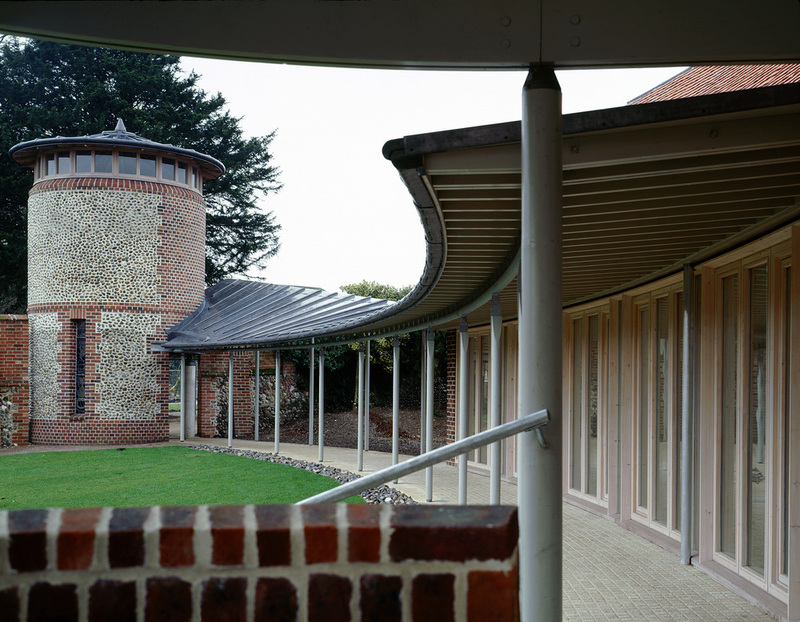 The project forms part of a cohesive and consistently well realised tranche of works at Walsingham. Our most experienced Senior Project Architect, Sarah Wells, has achieved and maintained impeccable standards of design, detailing and implementation throughout. It won a Civic Trust Award & The Graham Allen Award (latterly the NNDC Conservation & Design Award) for outstanding design in 2004.